FDA clears 24-minute BI system for VH202 sterilization: 3M™ Attest™ Rapid Readout Biological Indicator System. ST. PAUL, Minn.--(BUSINESS WIRE)--Healthcare facilities can obtain faster sterility assurance results for surgical instruments following the Food & Drug Administration’s 510(k) clearance of the 3M™ Attest™ Rapid Readout Biological Indicator (BI) System for vaporized hydrogen peroxide sterilization (VH202). 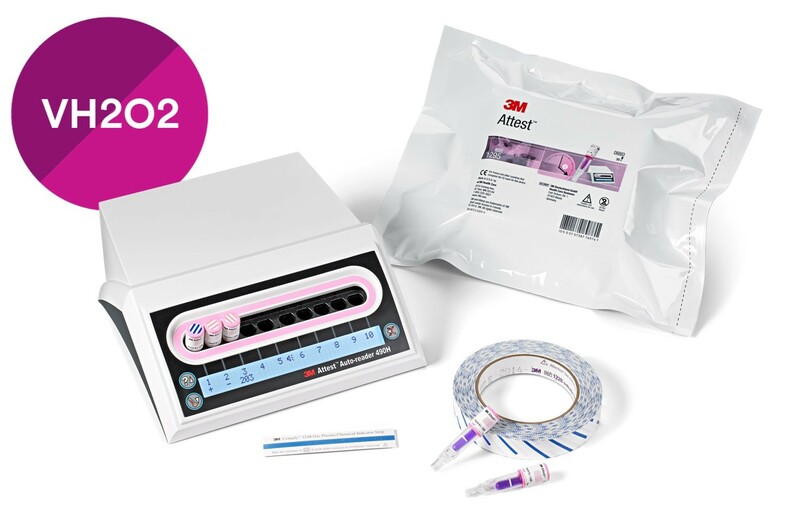 BI results for VH202 sterilization cycles with the 3M™ Attest™ system can now be read in just 24 minutes—the fastest readout compared to any other FDA cleared product on the market—making the practice of every load monitoring increasingly feasible. The 24-minute time to result is 10 times faster than 3M’s previous market-leading time of four hours, achieved with the 2016 release of the 3M™ Attest™ Rapid BI System for VH202. 3M scientists were able to increase system capabilities to achieve a faster readout time following the initial launch. Programming developments to the Attest™ Auto-reader 490H make it possible for existing users of the four-hour system to upgrade to the 24-minute version. Customers will not be charged for this upgrade. Prior to 3M’s development of four-hour BI test results, VH202 BI readouts typically took 24 hours. With the 24-minute BI for VH202, 3M offers a comprehensive rapid BI portfolio across the three sterilization modalities commonly used in healthcare facilities worldwide—VH202, steam and ethylene oxide. Complete and connected sterilization solutions allow department managers to bring consistency to sterilization practices and create a standard release policy. Consistency can also help simplify training, reduce workflow errors, and increase compliance with protocols—all of which contribute to increased patient safety.